Providing a product and/or service under a fixed term contract of at least 12 months? Doing business with customers who are investment grade entities (or an essential subsidiary)? Entering into contracts for $500,000 or more? An equipment component that is necessary to fulfill the contracted service or produce the contracted product. A predetermined fixed minimum payment stream; unconditionally guaranteed by the end-user. If you answered yes to the above questions then YES; we can provide you with the equipment and working capital to grow your business! Many vendors and service providers are desperately looking for new ways to make it easy for their end user to say yes. Operating leases will soon be a thing of the past, yet larger companies will still look for ways to keep the use of assets and the services they utilize off of their balance sheet. With contract finance we are able to structure many contractual transactions as service or usage agreements. These agreements are specifically excluded by FASB from on balance sheet transactions. Avoid on balance sheet obligations that end users may have under a normal purchase agreement. Reduce the likelihood of end user/customers from having to go through a lengthy capital appropriations process in order to buy your product or services. 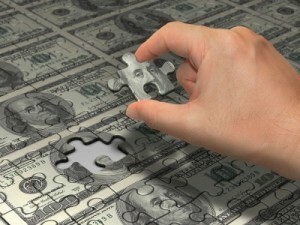 Contract Finance allows you the ability to go after larger contracts that you may not have working capital to fulfill. Offer a bundled product to your end user/customer instead of requiring them to purchase equipment then enter into an agreement for services. It’s very important to ask yourself if you are going after larger contracts or holding back because of the lack of working capital. If you are holding back, we can help you make money.